We are not sleep specialists but we know that having a goal, finding a strategy, and implementing tactics to achieve that goal will make it far more likely that you will complete it. Don’t go to bed either hungry or stuffed. Your discomfort might keep you up. Also limit how much you drink before bed, to prevent disruptive middle-of-the-night trips to the bathroom. Nicotine, caffeine and alcohol deserve caution, too. The stimulating effects of nicotine and caffeine — which take hours to wear off — can wreak havoc with quality sleep. And even though alcohol might make you feel sleepy at first, it can disrupt sleep later in the night. Your mattress and pillow can contribute to better sleep, too. Since the features of good bedding are subjective, choose what feels most comfortable to you. If you share your bed, make sure there’s enough room for two. If you have children or pets, set limits on how often they sleep with you — or insist on separate sleeping quarters. Napping can go far in improving work performance, in addition to providing a number of other health benefits. To maximize nap times, limit your shuteye time to 30 minutes, and time your nap between 2 p.m. and 3 p.m. to match the low point of the body’s circadian cycle: You’ll have the best chance of falling asleep during the few hours after lunch, and it could increase your performance (and maybe even learning capacity) for the rest of the day. Corporate Wellness Programs Need To Address Sleep And Stress. Nearly 90 percent of companies offer wellness incentives for employees, according to a survey from Fidelity Investments. However, only 6 percent of offices had napping rooms for employees in 2011, according to a Society for Human Resource Management survey of 600 companies. Companies like The Huffington Post and Nationwide Planning Associates believe in power naps and offer their employees nap rooms because they believe that it has a payoff – happier, more rejuvenated and productive employees. EnergyPods are like recliners and are located at companies such as Google and Procter & Gamble. Have we convinced you to think about how you can make sleep a priority? P.S. Be sure and check out these websites. Does indecision keep you from getting your projects started … or finished? Did you know that besides derailing you from achieving your goals and advancing in your work, procrastinating reflects on your professional image as well? Everyone procrastinates on occasion but some people do it regularly. Even when they are aware they are procrastinating, they still put off important projects. If procrastination keeps you from completing projects, it is chronic and should not be ignored. Otherwise, it could easily affect your career, your home life and your self-esteem. 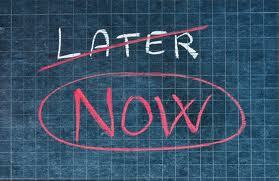 If you are committed to overcoming your procrastination habit once and for all, we assure you that it can be done. Why not give the tips below a try? They will help you stop the games you play with yourself to avoid a project you do not want to do. Evaluate the importance of the project. Is it still a priority? If not, take it off your to-do list or consider moving it to your Someday/Maybe list. Figure out the reasons you are procrastinating. Knowing “why” will help you come up with the tools to fight it. For example, if you do not understand a particular area of the project and how to go about completing it, consult colleagues who are experts in this area or research the area in question on your own. Find uninterrupted time. Enter a date in your calendar to work on a specific step of the project. Be sure and keep the appointment. Your dates are just as important as meetings with others. Your time is valuable. Decide on the location where you will do the project. Sometimes working in a coffee shop with headphones on is better than the office where there are many external interruptions and distractions. Prepare ahead of time. Decide what is needed that will make the task as easy as possible. A larger work surface? Clear space on your desk. Last year’s documents? 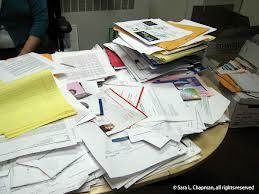 Find those important papers ahead of time and have them ready. These are the types of obstacles that could prevent you from moving ahead. Create a positive mindset. It makes all the difference in the world how you approach the project. If you think of it as impossible and too hard to do, then it will be. On the other hand, if you tell yourself that you can do this and are ready for the challenge, it will not be as difficult. Think of the feeling of accomplishment when the project is completed. Divide the project into individual tasks or steps. Make each step doable. A project may have five steps or fifteen. Write each step down on paper or electronically. Make the first step easy. Ease into the project slowly. You may want to make this step short and simple although, once you have completed it, you will have gained momentum and the commitment to continue. Set the mood. What external stimuli will entice you to get started? For example, lighting, music, and snacks can make the task more enjoyable. Ask a trusted friend or colleague to help you get started. Even if the person is just there while you work, sometimes that is all it takes. Seek help from colleagues or friends if you run into obstacles. If you do not know how to tackle a specific step, consult with someone who does. All you need to do is ask. People are happy to help. Eliminate interruptions and distractions so you can focus on the project. Turn off the sound and pop-ups signaling new email. Let your phone go to voicemail. Close your door or put up a sign saying you are working on an important project. Keep a pencil and pad where you are working to jot down thoughts not related to the project. That way you will not forget them and can go back to them later when you are finished working. Be mindful of the progress you are making. Track your accomplishments and be aware of the progress you are making. Think in the present. WHAT IF THE PROJECT IS DUE IMMEDIATELY? Move directly to the “Begin the Project” section. Imagine you are leaving town tomorrow. We have all experienced that hyper-active mode before leaving for a business trip or vacation. You had no idea you could accomplish so much that quickly. And why is that? Because you concentrated on the tasks that needed to get done. That probably meant limiting conversations with colleagues and not allowing distractions and interruptions to throw you off target. Once a project is off your to-do list, it is not always easy to move immediately into another high-level task. Switch from your high-functioning thinking to low-level tasks such as returning phone calls or doing email. Consider taking a walk and giving your brain a well-needed rest. Enjoy the feeling of relief and satisfaction knowing that the weight hanging over you is gone and that you did it! Feel good about your accomplishment. Remind yourself that you overcame procrastination and that you can do it again. Maybe, just maybe, the next project won’t be nearly as hard as you anticipate and will go faster than you expected. The secret: just start. We hope these tips inspire you to begin a project you have avoided yet must be done. Once you actually begin, you’ll be amazed at your energy and motivation. The effort will be well worth it, and we are here to help. Everyone Needs A NOT-To-Do List … Even You! Most of us leave the office with a sense of accomplishment if we manage to complete our daily to-do list that day. Productive and successful people live and breathe to-do lists. It’s their business bible. With limited time and energy, a manageable and realistic list like this is a must. Why, then, is a NOT-To-Do-List also a good idea? Think about it. All day, every day, we are bombarded with to-dos that are not on our daily list. While we are committed to the tasks on our to-do list, other tasks, which often appear out of nowhere, also demand time and attention. To make it worse, they take our focus off important tasks – the ones that bring us closer to our goals. Staying away – far away — from those interloper tasks is just as important as completing your to-dos. We recently interviewed 70 successful and productive business people. Many of them told us that they prevent “other” tasks and assignments from derailing them despite the pressure to succumb. They maintain their focus and concentrate on the tasks that matter. Below are suggested NOT-To-Dos. By not doing them, you will be able to focus your efforts on the tasks that will get you closer to your long term and short term goals. 1. Do not answer calls from unrecognized phone numbers. It is an interruption and you will lose focus on what you are doing. That’s why they made voice mail. If it is important, return the call on your schedule. A program called PhoneTag will convert your voicemails into text and email them to you along with the original audio of the message. 2. 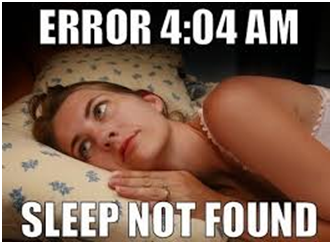 Do not check email in the morning. Tackle an important task instead. Email is a low-level function that requires less brain power than other high level tasks such as prioritizing, planning and writing. 3. Do not check email all day long. Check email only at specific times. Email is like candy. Your brain craves the novelty of finding out who just sent you the last email and what it says. Don’t play that game. Schedule a block of time (45 minutes or so) two or three times a day and enter these times in your calendar with a start and finish time. Consider looking at email mid-morning, after lunch (probably too sleepy to do much of anything else) and again around 4pm, giving you one last opportunity to reply before heading out the door. Oh, yes. Don’t forget to disable the sound and pop up alerts. 3. 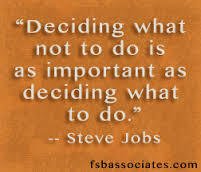 Do not add to your priorities without considering the implications. Were you just handed a new project? If so, how important is it and when is it due? Communicate with your boss the impact a new project has on your existing ones. Tip: write all active projects down into a notebook (paper or electronic). At a glance, you’ll see all of your projects and due dates. 4. Do not take calls while you are in a meeting unless you are the president of the United States or an ER doctor. If you must answer, be sure and inform attendees before the start of the meeting that you are expecting an important call. Otherwise your colleagues may not have nice things to say about your manners. 5. Do not allow others to clutter your inbox. Avoid sending emails with receipts attached to them. Ask to be removed from your company’s non-essential distribution lists. And, while you are at it, unsubscribe to on-line magazines and newsletters that do not have a high payoff. One last email tip: avoid sending email with receipt requests. Some people use an auto responder thanking a person for their email and letting them know when they will return the call. Leave a phone number in case it is an emergency. Just remember to call them back when you say you will. 6. Do not connect with your smart phone 24/7. Turn it off when you are not working. Everyone needs time to recharge without being tethered to technology. Get a dog if you need companionship. 7. Do not allow social media sites to consume your time. Access updates during non-working hours unless social media sites are part of your business strategy. Use a timer to stay focused while surfing social media sites. Or, before you know it, an hour has passed and you have nothing to show for it. 8. Do not send vague emails. Write relevant, descriptive subject lines. Put “Action Needed” or “Action Requested” in the body of the email to highlight your request. The fewer words the better. Read over the email before hitting send to make sure that the email is clear and expresses your thoughts. 9. Do not say “yes” unless yes is really the answer you want to give. It is appropriate to check your calendar or to say that you must check with others first. If this project will make it harder to reach your goals, do not hesitate to say no. 10. Do not attend a meeting without an agenda. Preferably, the agenda will be sent out ahead of time along with committee reports. Focus your time at a meeting on issues and discussions. Before entering the meeting, be sure and know when it will end. 11. 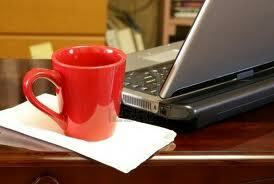 Do not spend too much time chit-chatting with people in the office or on the phone. Of course be friendly, but move the conversation along at the same time. Often, informing the person that you are in the midst of a project is sufficient. 12. Do not worry about something that has already happened. Did you make a mistake in a meeting or say something that you now realize was incorrect? It happens to everyone. Make your apologies and move on. Save your thinking for positive thoughts and ideas and do not dwell on something that you cannot change. 13. Do not do something if you can delegate it. Given the demands on our time these days, do not hesitate to ask an administrative assistant, a subordinate or a colleague to handle tasks they are capable of doing. H/she may have more expertise in the area than you have. Even though explaining the task may be time-consuming, it will be worth it in the end. 14. Do not do less beneficial tasks at the expense of important ones. Often we become caught up on a less important task. The task was important when you started it, but part way through you now realize it is no longer a priority. Even if you have put extensive effort into it and are emotionally tied to the outcome, drop it right away. It may be hard but your time needs to be allocated against the projects that count. 15. Do not worry about things you can not affect. If your revenue was down last month, think about ways to make it up. Worrying about the problem won’t fix it. Now you have 15 NOT-To-Do items and you are sure to come up with others on your own. Be mindful and oh so conscious of the tasks you should not do because they will rob you of the time you need for crucial tasks. What will you put on your NOT-To-Do List? Write to us and let us know. For more information creating your very own NOT-To-Do List, check out the 3/14/13 Forbes article by Pat Brans and Michael Hyatt’s point-of-view. How do you start your work day? Do you dive right in to email or grab the first thing you see on your desk when you walk in the office? In this blog, we will discuss how you can maximize your productivity all day long just by following a routine in the first 15-30 minutes of the work day. One of the hallmarks of a successful person is that h/she creates many positive habits and follows them, day in and day out. One of them is a morning ritual that keeps them efficient and effective throughout the day. Highly productive and successful people resist diving in to their to-dos until they have mapped out the day. Planning the way the day so it will be as productive as possible is always first. 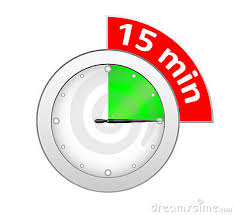 Q: Why is the 15-Minute Opening Ritual that big a deal? The most important things will get done that day. Fewer items will fall through the cracks. With the right systems, you’ll stay on track. Now you can focus on what matters rather than mentally juggling a list of to-dos. A morning ritual removes a lot of unnecessary stress and worry and replaces it with positive energy. You are proactive and have better control over the day; you are running the show. Q: Most of us do our best thinking in the morning when our cognitive resources are at high alert. What’s going on? A: Our cognitive resources are stored in the prefrontal cortex part of the brain. This is where we use our working memory to perform high-level functions such as planning, prioritizing, making decisions, and delegating. This part of the brain allows you to envision the day and maximize your productivity which is why a morning ritual is so valuable. High level thinking requires a tremendous amount of working memory and needs your undivided attention. The last thing we want to do is squander this valuable resource on low-level tasks such as email and phone calls. They need to wait until later when the prefrontal cortex is tired and then we can switch to less taxing activities. Q: Can you describe my day using the 15-Minute Opening Ritual? A: Your day will be well-planned and will flow more smoothly than if you approach it haphazardly and reactively. The key is to focus ahead of time – usually in the morning or the night before – to decide what needs to be accomplished and what the day will look like. Remember — not everything needs to be done immediately. 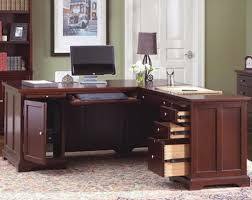 Some tasks can be moved to other days while others you know must be attended to right away. Arrive early for work or at least be on time. This one act alone sets a positive tone for the day, helps you stay calm, and eliminates the rushed and stressed feelings that otherwise might stay with you throughout the day. With fewer people in the office and the phone silent, this is an ideal time to envision, assess, and prepare for the day. Crave caffeine? We would be remiss if we ignored the well-trod trip for a cup of coffee or a Diet Coke (after all, this is the South). On your way there and back, greet everyone who crosses your path and make connections although this is not a license to linger. No thinking required. At least not yet. 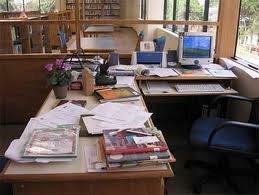 Is your desk clear of papers? If not, remove the clutter. Messy work spaces can be distracting and studies show that colleagues are judgmental even if you are the best performer in the office. Review your calendar for important meetings, appointments. Add uncompleted tasks from yesterday to your schedule along with new ones and decide which ones to attend to today. But do not start on them yet. Leave enough white space for unexpected happenings and emergencies that are sure to occur. Break projects down into chunks so they are not overwhelming. Once you have listed the steps, prioritize them and decide what you can accomplish today. The second step may have to wait until another day. Prioritize, prioritize, prioritize. It is not enough to just identify the three important tasks. Brian Tracy in Eat That Frog suggests scheduling the least appealing task first. Decide when during the day you will do the 3 tasks and enter them into the calendar at the times you are going to handle them. If you double the time you estimate the task will take, you will probably be right. Turn off external interruptions such as the ding on your email and the ringer on your phone (or at least send messages to voicemail). Colleagues walking by will notice your closed door and get the message that you are not to be disturbed because you are in the midst of your 15-Minute Opening Ritual. What about internal interruptions? That’s the voice inside you that is thinking about where you will eat lunch instead of concentrating on what you are doing now. Save low-level activities such as phone calls and email for later. Chunk them together and add them to the calendar. If you do fall into the black hole of email, an hour will slip by and your good intentions to be productive and focused will be derailed. Listen to voice mail for messages and enter them in your computer or write them down on the pad located next to the phone. Plan when you will return calls but don’t do them now. Make sure your to do list is realistic and up-to-date. Successful and productive people we interviewed all had working to-do lists that they reviewed throughout the day. If you need to get in touch with someone and receive an answer that day, phone or email as soon as you have completed the 15-Minute Opening Ritual. It’s the best chance of reaching someone. Be Proactive And More Productive: Starting Now! Many of us want to do things differently in 2014. If you own a business or work in a company it may be time to make changes. Where to start? Before implementing changes, you may consider what you want to be different and think it through to figure out the best way to go about it. Viewing the situation from a positive, proactive view makes a world of difference in attitude and will help you achieve the changes you desire. One of our all-time favorite books, The 7 Habits of Highly Effective People devotes an entire chapter to this subject. The very first habit in the book is called “Be Proactive.” Stephen Covey, the author, talks about a person’s ability to get things done and not accepting excuses such as: “it is always done that way.” Or, “I don’t have the expertise or the ability.” The list of excuses goes on and on and can be self-fulfilling. (Language makes a big difference.) Covey believes, as do we, that a person has the ability to make conscious choices and the imagination and resources to determine how to handle matters … instead of them handling you. We can choose to be a victim or take the matter into our own hands and decide that things will be different in the future. In the area of productivity, the situations listed below may frustrate you. However, take a look at the suggestions on how to exercise your proactive muscles. Are you constantly interrupted at work and cannot get enough completed during the day? You take work home most nights (reactive) because it is the only time the phone isn’t ringing and people are not stopping by your office to ask a quick question. Now let’s go the proactive route. The phone rings while you are working on an important project? Purposely let it go to voicemail. Or, a colleague pokes her head into your office and asks “Have a minute?”. What a perfect time to get out of your chair and start walking down the hall! Stand-up meetings are notoriously short. You have just avoided an unplanned, possibly time-wasting meeting in your office. After deliberating and deliberating, you finally decided a few weeks ago to splurge and purchase the newest smart phone model with all of the bells and whistles. Unfortunately, you do not consider yourself tech-saavy and haven’t even taken the item out of the box. It will have to wait until you have more time and can figure out how to use it. How about this for a possible solution? Invite a friend with the same phone out for lunch– your treat. You know you need to delegate more so you can maximize your efficiency and finish projects faster but you are not exactly sure what the process entails. It seems easier to do the project yourself. Possible solution: Sign up for a leadership class, read a book on the subject or consult a colleague who has mastered this skill. Once you become comfortable with delegating, you can concentrate on the projects that will bring you closer to your goals. You’ll be glad that you took action instead of avoiding the situation and continuing to do the same old thing. As the saying goes, the definition of insanity is doing the same thing but expecting different results. Unfortunately, not every area is within our control but, as Stephen Covey points out, we have more control than we realize. It depends on how we view it. If you are proactive (or are going to make an effort to become more proactive), it will require a conscious choice on your part. The only way these changes will come about is if you take charge and act on them. 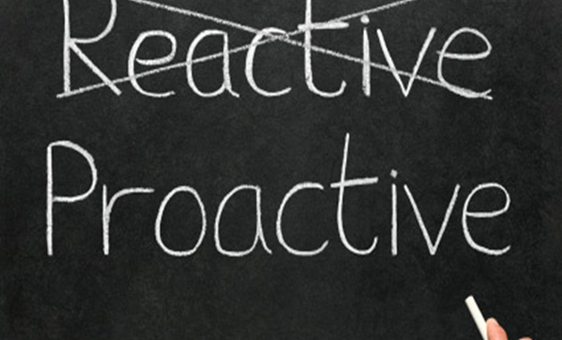 Your colleagues may prefer to be reactive and decide to wait until something happens but, if your productivity is going to increase, now is the time to take action. As you decide to become more proactive, mistakes may happen. That is perfectly acceptable. Try not to dwell on them. Accept the mistake, learn from it, and move on. Be the person in your firm or in your circle of friends who has a positive attitude, is willing to try new ideas and not let mishaps get in the way. You may be amazed at the great leaps in effectiveness you achieve vs. those who are not willing to make the effort. Listen to your own language and the people around you to pick up on negative and positive thoughts. Anticipate an experience that will be likely to happen soon and envision yourself responding positively. 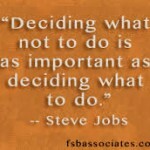 Decide if a problem is actionable or if you do not have control over it. If you can solve it, figure out how. Take the 30 day proactivity test and zero in on the things that will make a positive difference. Write to us and share what steps you are taking in 2014 to become more proactive. We are eager to hear and available to help. The 15-Minute Closing Ritual is a technique that It’s Time To Get Organized created to ensure that each day runs smoothly. Recently, tips and techniques on what to during this closing ritual were posted in the Abacus blog to help maximize the time management techniques of thousands of attorneys. 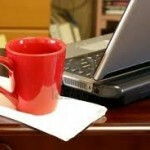 Not only does it keep attorneys working efficiently but it will benefit others as well. Most of us lack energy or inclination at the end of the day to get organized for the next day. Yet, those 15 minutes yield a huge payoff. Check out the blog to read about how you can add this highly successful routine to your day.